I was working alone in a windowless interior office in August 2003 when what has been called the largest electrical outage in North American history hit the northeast and Midwest areas of the United States and Ontario, Canada. Everything suddenly went black. I initially thought the outage affected only the building I worked in. The corded phones worked but I was unable to reach anyone anywhere. So I felt my way around, grabbed my belongings, locked up and left. As I stepped out into the bright sun, I noticed people rushing out of the other buildings. “Okay”, I thought. “The power is out in the entire complex.” But as I began the drive home, I realized that the affected area was even wider. Using my cell phone, I tried several times to call home. As I soon learned, many mobile phone providers had also lost power, including my own. Traffic lights were not working, turning my routine 30-minute drive from work into a 2-hour maneuver on an obstacle course. It was total chaos. No one knew what was going on. The radio offered little comfort. Some of the stations were broadcasting that the United States was under attack by terrorists! I’m sure my face mirrored the worried looks of the other drivers as we made our way to our destinations through expressway traffic that had pretty much slowed to a crawl. When I finally arrived home, I was still unable to communicate with anyone. We had only cordless phones at home which had also stopped working when the power went out. My family and I sat outside, turning the news on the car radio every half hour while it was still light outside. It was very hot. It must have been in the low 90s. The humidity was probably just as high. Because we were unprepared for a crisis, when night rolled around, we were in total darkness. I don’t remember how visible the moon was on those nights. I just recall that when the sun set and daylight faded, the outlines of the trees and houses outside created a scene so eerie, it looked like the set of a horror movie. The power was restored after four long, hot days. From that personal experience of a major annoyance, I learned that disaster preparedness is essential. Prepare an emergency kit. Because so much is occurring today in the form of storms, flooding, hurricanes, fires, terrorism, etc., you don’t know what shape or form a disaster or even a minor crisis will take, but you will need certain items no matter what emergency situation develops. You can find out what those items are by visiting local, state or federal websites, or by contacting your local emergency planning centers. You will also want to consider special needs planning for those who require it. Plan as if your local emergency response team will not be available. 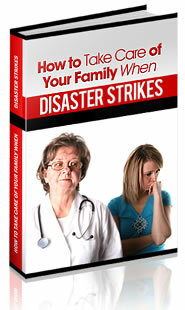 Develop an emergency plan. If something should happen while your children are in school or on a school field trip, or if you or family members are working away from home, or traveling out of town, or at a concert, the park, the grocery store — anywhere but home, how will those in your inner circle connect? How will everyone contact one another if the cell phones are out? How will everyone meet? How will you get to your children? Procrastination is not a plan. We tell ourselves often that we’re going to get around to getting our crisis planning done, but we never do. We think we have plenty of time, that we won’t need it anytime soon. Those are the thoughts I had before the blackout occurred suddenly and without warning. If we had been prepared, we could have purchased small battery operated fans for each family member, and packed blankets and other warming items in case of a cold weather crisis. We could have had a battery powered radio (with extra batteries) to stay informed with up-to-the-minute news reports. We could have purchased camping lamps to provide light. We just maybe could have purchased a small generator and saved all of our refrigerated and frozen food items that we ended up throwing out. We could have done much, but instead we did nothing to prepare for an emergency. Despite the discomfort of those few days, we were fortunate. It could have been much worse. Set a goal to be prepared for a disaster 30 days from today.